Praemium has announced a major technology upgrade and a new rebrand for its global investment platform. In a statement, Praemium said the upgrade will expand its addressable market from the $62 billion managed accounts segment to the $860 billion overall platform market. Praemium said it will deliver its Unified Managed Accounts (UMA) solution, through the combination of: its existing Separately Managed Accounts (SMA) solution; the expansion of its Individually Managed Account (IMA) solution across a wide range of investment assets; and its Virtual Managed Account (VMA) reporting solution for non-custodial holdings. As a result, financial advisers will have an expanded investment universe of 1,300 domestic and international model portfolios and single investment assets. Praemium chief executive Michael Ohanessian said the breakthrough is in having combined SMAs with bespoke investments in a singular experience. “This compares dramatically to traditional wrap platforms that have tried to overlay SMAs into their technical and regulatory architecture,” Mr Ohanessian said. 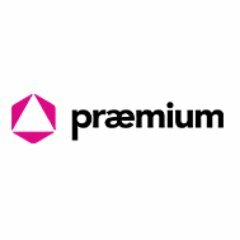 “Our new Praemium branding underscores the unified nature of our integrated custodial and non-custodial solution across a broad investment universe.